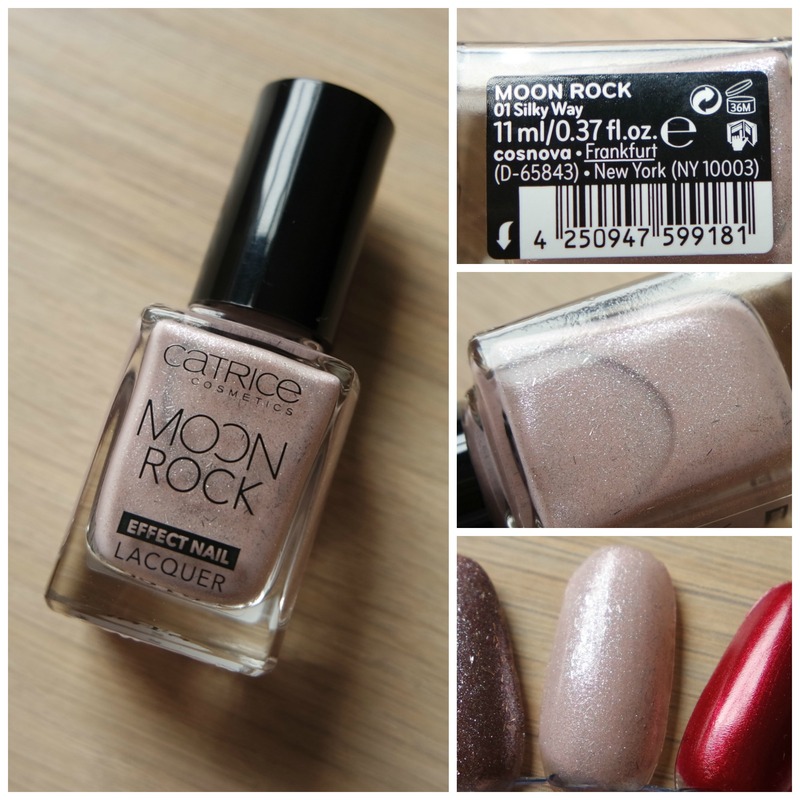 The launch I was most excited about from Catrice’s new fall/ winter range? Not some of their make up. Oh no, my heart literally skipped a beat when I spotted a new range of nail polish. As you might have seen in Sunday’s video, I love myself some Catrice nail polish. So it should come as no surprise that a new nail polish line by the German drugstore brand causes me to do a happy dance. I picked up four shades of this highly shimmery nail polish line and put them to the test. 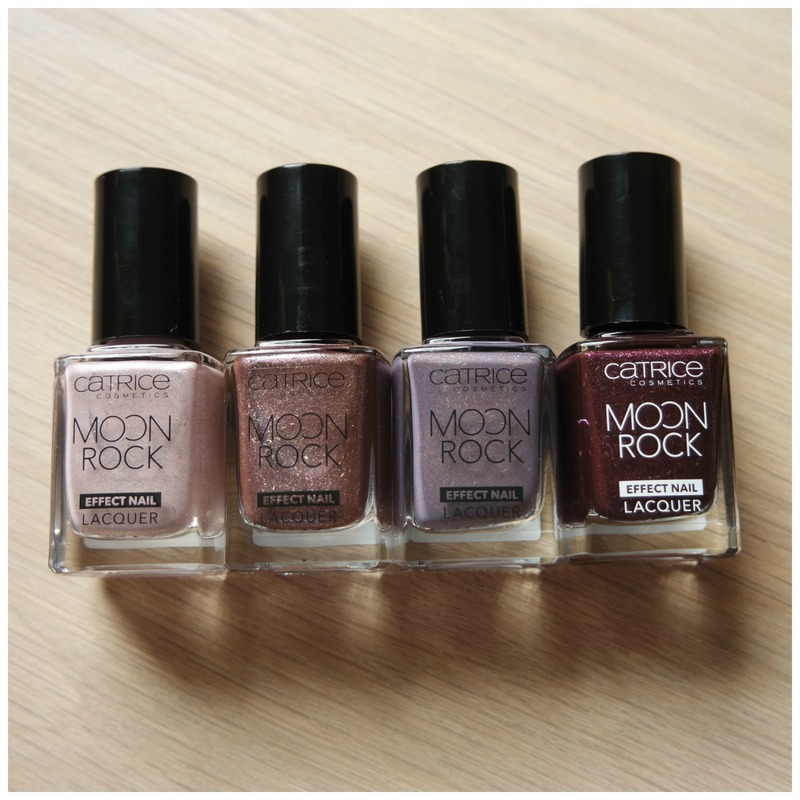 Despite the fact that Catrice polishes have gone up in price throughout the years, these retail for a very reasonable price. For €2.99 a pop, these certainly do not break the bank. In total there are six shades. The only two shades I didn’t buy are a silver and a pink, which are colors I don’t really wear much on my nails. The other shades all looked very promising, so I decided to give them a shot. What is so interesting about these polishes is that they are seemingly straight up shimmer/ glitter polishes when you first look at them. However, when you look more closely, the shapes of the glitter and shimmer in the polish vary. There is a good amount of micro shimmer, yes, but each polish contains the tiniest flecks of bar glitter as well. The effect is most noticeable in the darkest two shades, but the lighter two also contain this array of shimmer. It creates a very multidimensional effect which had me staring at my nails the entire time. The brush of these polishes is well-designed. It isn’t too big or too narrow. It is just right. It allows for the right amount of polish to be distributed onto your nail, which makes for a very easy application. Swatches do not lie and here you can see all the shades swatched on a nail wheel. Each swatch was made by applying two coats of polish. So far I’ve worn 3 out of 4 polishes and I am surprised by their lasting power. For such a shimmery polish they last a very long time. I’ve tried many glitter polishes in the past, but mostly they’ll chip within a day. These don’t. I was able to wear these polishes for 5 days without chipping. Silky Way can best be described as a baby pink with silver glitter. Looking at it in the bottle made me think that this might be pretty sheer, but this went on as opaque as the others. The glitter effect is the most subtle in this one. It is more like a pretty shine rather than an overy glittery polish. Pretty Like Universe can best be described as a taupy dusty mauve when looking at it in the bottle. However, when swatched it pulls a bit more purple. On the nail the greyish mauve tone however does show up much better. I feel this doesn’t apply as dark as it may look in the bottle. Magical Bluelight must be the most special of the bunch. 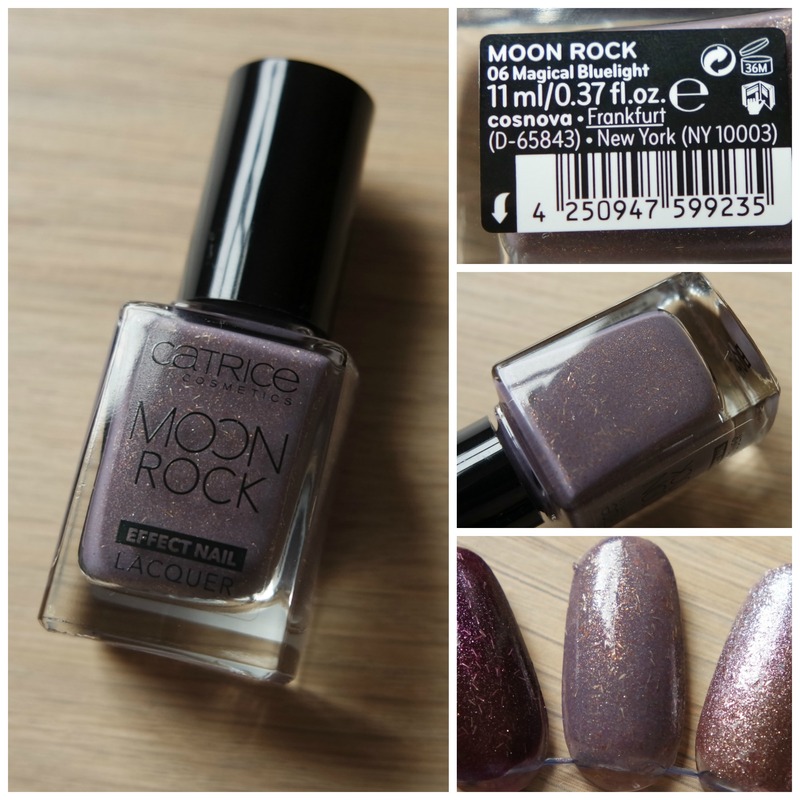 The base color is like a grey toned plum, but the glitter is what makes this polish. 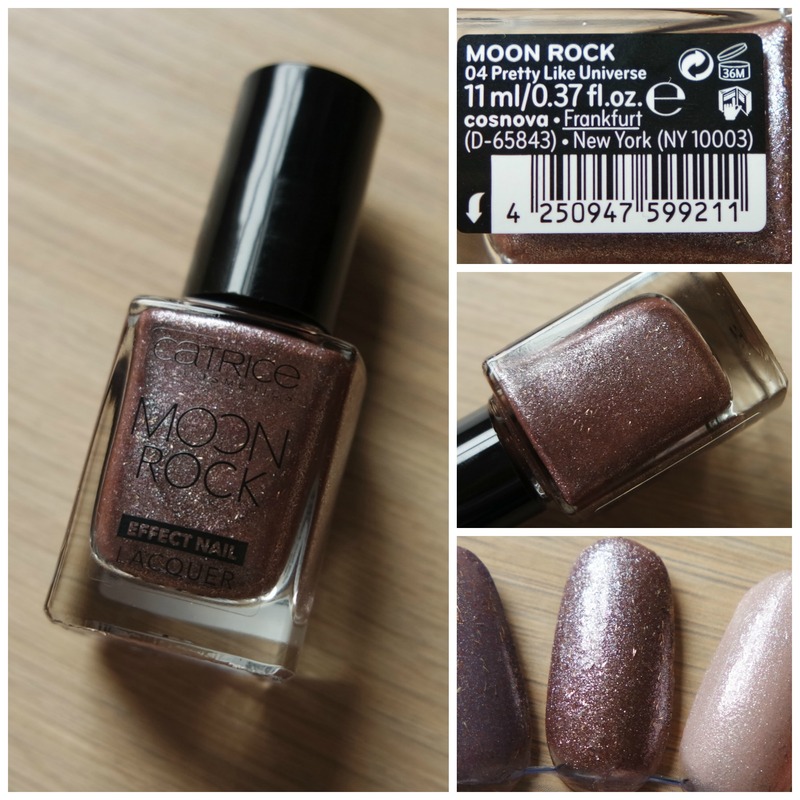 It’s almost as if it is holographic, in any case it is a multi-tonal glitter that adds a lot of dimension to the polish. My favorite out of the bunch. 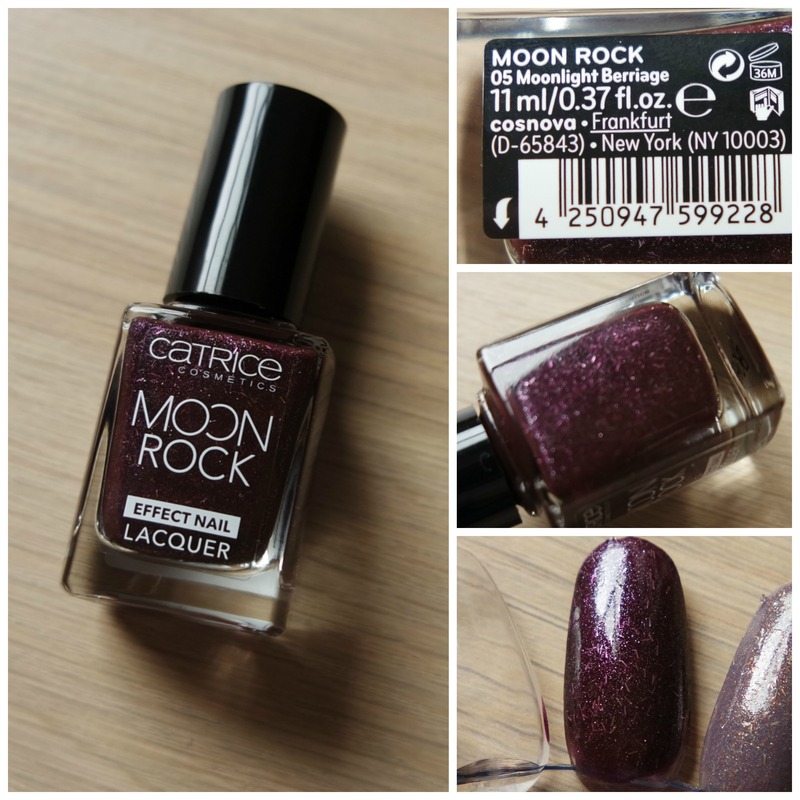 Moonlight Berriage is a deep burgundy shade with pink shimmer running through it. I think this will look extra stunning in the fall and winter time. This is the only one I haven’t worn yet. The conclusion? These polishes are stunning! Moreover, they last well, go on opaque and are definitely something different. Yes, Catrice has done a good job with nail polish once again. 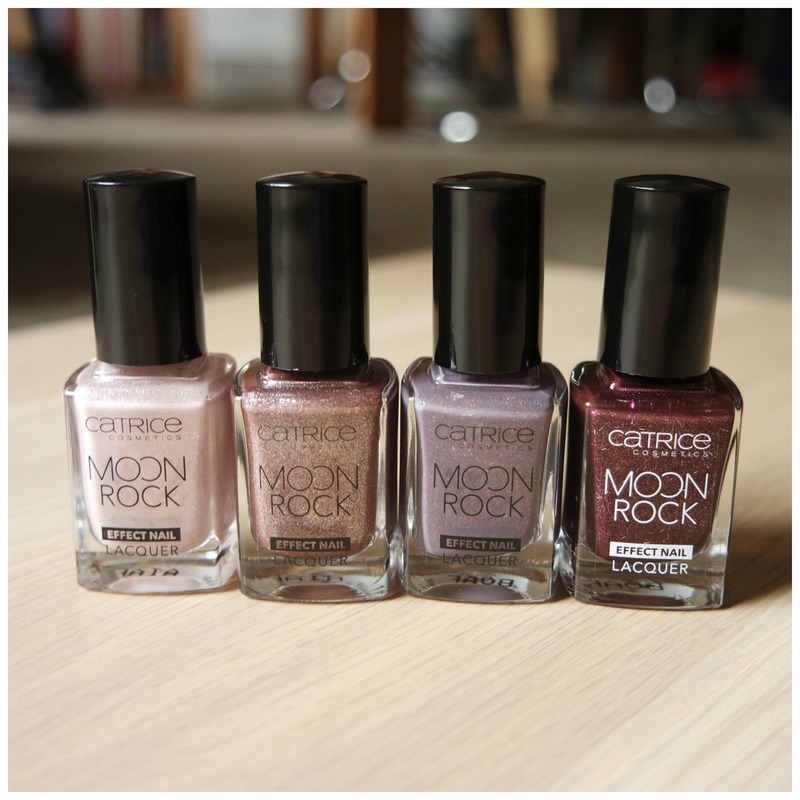 What do you think of Catrice Moon Rock nail polish? These are all super lovely. Where do you buy Catrice at? Here it’s available at the drugstore (Kruidvat). It is becoming more widely available internationally as well. I know that Ulta stocks it in the US, but they don’t always have the full range and definitely not the frequent updates. I’ve never seen them at Ulta. I’ll have to look harder next time I’m there. Thanks! They may only have it online (I can’t check, because Ulta doesn’t allow access to their website if you’re not in the US), but I know Tati from Glamlifeguru on Youtube reviewed a ton of stuff a while ago. I’ll check there. Thanks again! Ja he? Ik vond ze ook prachtig! Wauw wat een super mooie kleuren! Vooral magical bluelight! Ja he?! Ik was spontaan verliefd op die kleur. Ik heb er nog eentje bij het catrice event kunnen meepakken! Ik moet hem nog testen, maar ik vind ze er zo al prachtig uitzien! Magical Bluelight is definitely something special! Wauw, echt hele mooie kleurtjes! Ja he?! Catrice heeft hier echt goed mee gescoord.